In late 2013 David Bayer, the CIO of Pottawattamie County, Iowa, approached the team at Agilx with a unique problem. Each of the deputies at the Sheriff’s Department is required to log every hour of their on-duty time, as well as other ancillary and off-duty activities related to law enforcement. 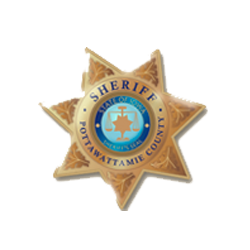 Pottawattamie County (POCO) also provides law enforcement services for many rural communities in the county that do not employ their own police department. This time is also logged so that these counties can be invoiced according to the terms of their individual agreements with POCO. At the time, deputies were logging time into an Excel spreadsheet on the laptops in their cars. These spreadsheets where then collected and aggregated into a larger spreadsheet that supervisors at the Sheriff’s office would use to bill other municipalities, review deputy activity, and to approve or deny time-off requests. The lead time needed to effectively communicate requests and decisions between various members of the Sheriff’s department was a hindrance to the efficiency of the department as whole. The leadership at Pottawattamie County’s Information Technology department knew there had to be a better way. Create a web-based application that allows deputies to log their activity. POCO did not want to manage a desktop-based application, or be tied to a specific hardware platform or operating system. Create a management portal for the Lieutenants at the Sheriff’s Office to log in and confirm log entries, manage time-off requests, and run various reports. This system would then provide real-time feedback to deputies regarding their various requests and entries. The whole application had to function offline. Again, the whole application had to function offline! That was the challenge; to create an activity-tracking web site that would function just as well with no Internet connection as it did online. The Agilx team researched several options and technologies to meet the application requirements. In the end, the following technologies were utilized to create a best-in-class, connection-agnostic time tracking application for Pottawattamie County. Google’s Chrome web browser. Chrome was the best choice for its support of modern HTML5 standards and for its ability to cache web pages for offline use. HTML5 / CSS3 Local Storage. Local Storage allows a modern browser to cache both web pages and user-specific data in a local ‘sandbox’ to be used without an internet connection. Pottawattamie County now has a complete Dailies system that will function as needed for the foreseeable future. The system is also extensible, allowing for future features to be added without disrupting the functionality for existing users. Agilx is working to bring this innovative platform to other Law Enforcement agencies, as well as various municipal organizations that face the same challenges with inconsistent internet connectivity. For more information, or to schedule a demonstration, please call Agilx at 402-817-4313 or email support@agilx.com.